"How you learn doesn’t deﬁne how unbelievably brilliant you are as a human being on this earth... Listen, I am an actor, I’m a director, I’m a producer, I’m a husband, I’m a dad...I write children’s novels.. .and I was in the bottom 3% in America academically...so, if I can do it, you can do it." 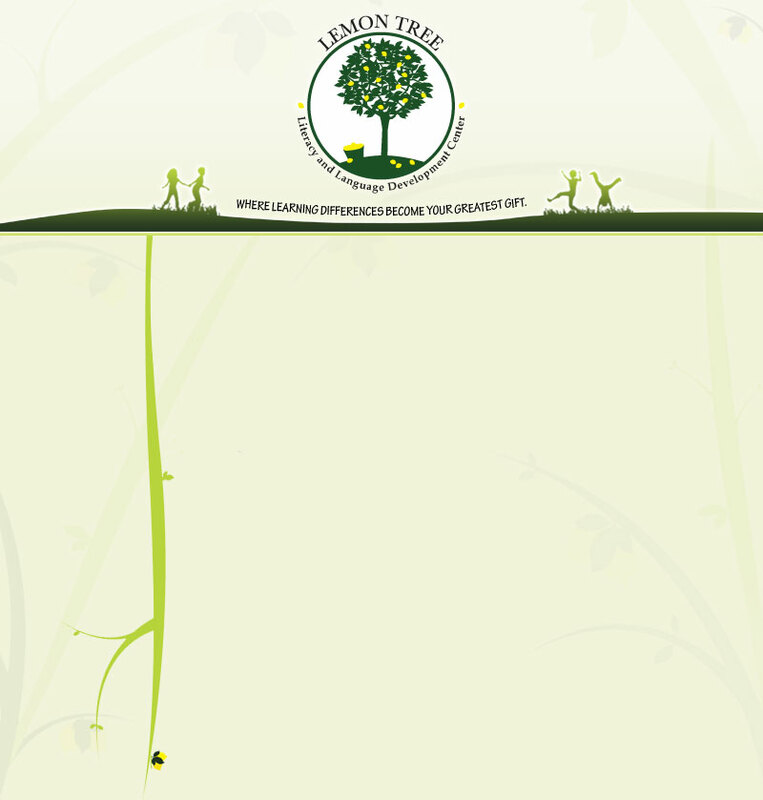 Welcome to Lemon Tree, where we embrace you as our family. We hope to provide you with the best support, information, and services available in order to maximize the success of your child’s academic future. The ﬁrst steps are always the most daunting and difﬁcult. We are committed to guiding you in this process and offering you and your family the advice, time, and support that will help you make the most informed decisions. ✤ How do I get started? 1) Discussing concerns with your child’s pediatrician, teacher(s), and family members is always the best ﬁrst step. After conferencing with your child’s teacher, classroom interventions are typically recommended and classroom performance is monitored. If progress is not evident or frustration grows, revisit these concerns. If there is a family history of a learning disability or your instincts are telling you something is not right with the way your child is learning, screening, diagnostic testing and/or a plan of treatment may be in order. Trust your instincts and follow them. 2) We encourage you to contact Lemon Tree at 813-854-3000 as a resource for information. We will discuss with you your questions, needs, or concerns. If we feel we can help you and your family, a ﬁrst time admissions appointment may be scheduled. 3) The ﬁrst time admissions appointment includes a review of your child’s records, parent & child consultation, and a screening. Copies of recent evaluations, report cards, or classwork samples (especially writing samples) are considered extremely helpful and may be brought with you to the admissions appointment. During the appointment, a case history intake form will be provided and completed. The information gathered throughout the appointment will help the therapist create a treatment plan speciﬁc to your child’s needs and goals, if therapy is deemed appropriate. 4) If the underlying deﬁcit has been identiﬁed at the level of the screen during your child’s admissions appointment, a treatment plan may be immediately recommended. Although a diagnosis cannot be made at the level of a screen, the screening instrument provides the necessary information to create the right treatment program for your child, maximizing the value of your investment. In some (infrequent) cases, if the underlying deﬁcit is not identiﬁed during the screen, we will have to recommend deeper probing with additional testing. 5) You and your therapist will create a treatment schedule that meets the needs of your family. Sessions will begin based on scheduling availability and group assignments (if group instruction is preferred). Please see the Class Materials section of this website for required materials.